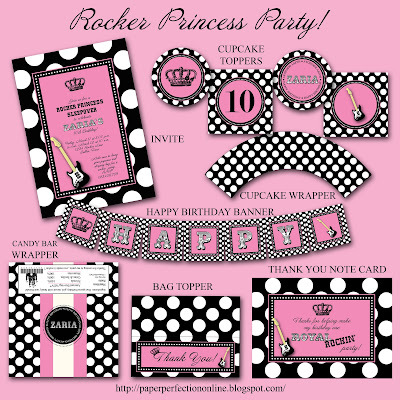 I have a client that I helped with wedding printables who recently contacted me for some custom party printables for a "Rocker Princess Party" that she is planning for her niece. She found some paper plates that are black and pink with white polka dots that she wanted a matching invite and a few other printables to complete her niece's party. What a fun party this will be! If you want to host a princess rocker party you can have fun things for your guests to wear like tiaras, feather boas, cool rocker sunglasses and fun activities like karaoke and "air band". 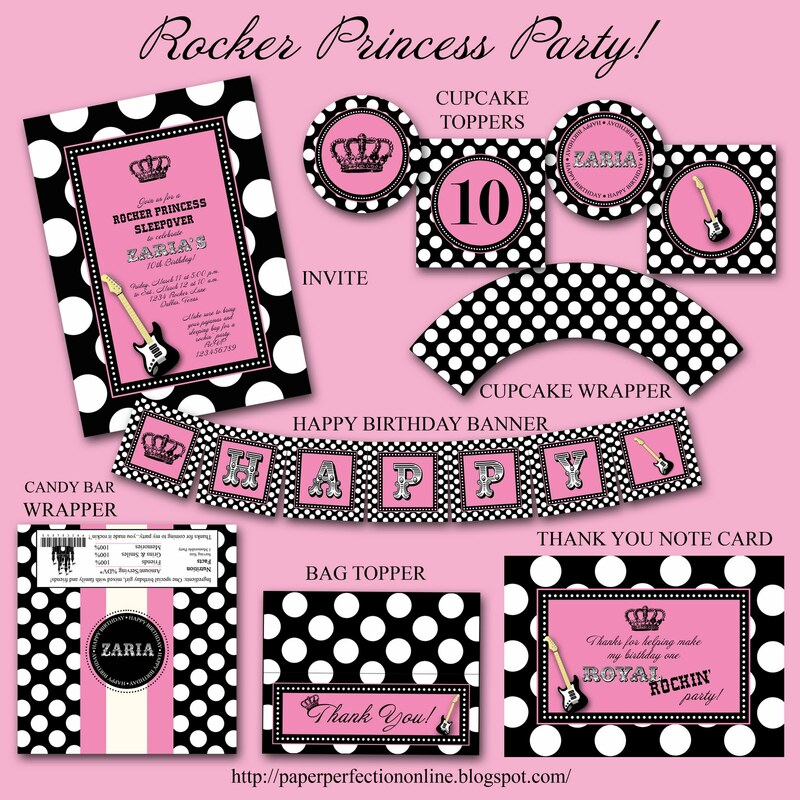 If you would like Rocker Princess Party or custom printables for your next event contact Paper Perfection at jtanddolly@yahoo.com for pricing and details.